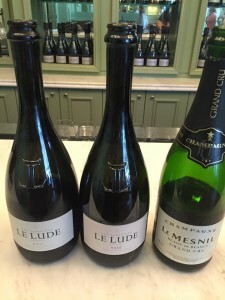 Entries tagged with “Le Mesnil”. 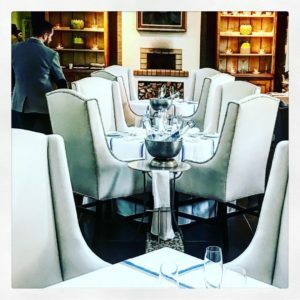 Cape Town’s only Eat Out Top 10 restaurant, Aubergine, went about its business as if nothing had changed for the team of Harald Bresselschmidt the day after receiving its special honour, it seemed. The Eat Out plaque is on the shelf in the entrance hall, and if one had not read about the Eat Out Top 10 Restaurant Award winners announced on Sunday evening, one would not have known that Aubergine has been crowned as Cape Town’s best restaurant, except that the restaurant was fully booked on a Monday evening. I took relatives from Germany to try out Aubergine last night, and had not been there for many years. My overall reaction was one of uncertainty of how I felt about the evening there. I was not sure if I could agree with the Eat Out judges that this is the one and only top restaurant in our city, as judged by them. The building is Victorian, located in Gardens, but the interior was very unmodern, functional, almost old-fashioned, with some interesting looking lampshades (looked like serviettes hanging over the light fittings), with wooden tables and woven chairs seating 60 – 70 guests, woven beige placemats, and some paintings of aubergines downstairs (including one by Father Claerhout), and more modern artwork upstairs. One enters past a bar counter, and a wine storage system separates the restaurant from the bar counter. I was fascinated by the changing lighting effect on this wine storage section, and wondered whether it enhanced the wines. We sat in the upstairs section, with just four tables, a reed ceiling, and a triangular window offering a peek of Table Mountain. It became very hot upstairs, and the small open window did not cool things down much. Lighting was very low upstairs, from interesting wall light fittings creating the shadow effect of branches on the walls. Serviettes are of good quality, as is the glassware, but the cutlery seemed too ornate compared to the unfussiness of the decor. The lovely hostess Jacqueline heard us talk, and immediately switched to German, and served us in German for the rest of the evening, which impressed my relatives. Jacqueline has only been at the restaurant for three weeks, and is a most efficient and helpful hostess, answering our many questions. The menu is divided into an a la carte section, and a degustation menu, but one is allowed to “mix and match”, which caused confusion at the time of the presentation of the bill, as every item ordered was itemised and not charged as per the set degustation price. The menu is attached to a leather holder, with Aubergine branding. The menu has a welcome from the “Cuisinier”, as Bresselschmidt calls himself on the business card. The introduction to the menu states: “Ingredients come first”. As Chef Patron he emphasises the “honest use of prime South African products, often enhanced by Oriental spices and cooking styles, leads you to appreciate the subtleties of what I try to produce”. The degustation menu costs R344/R485 for three courses, R 420/R600 for four and R 525/R745 for five courses, the second price reflecting the cost with a wine paired to each dish. Howard Booysen was a very knowledgeable sommelier, who studied at Elsenburg, and makes his own Weisser Riesling under the HB Wines label, which is on the Aubergine winelist. He shares the sommelier honours with Dominic Adelbert, who studied hospitality in Geneva and Adelaide, and learnt about wine at Gleaneagles in Scotland, he said. The winelist is impressive, neatly bound in a leather folder, with 30 pages each in a plastic sleeve. Vintages and regions are mentioned, and each vintage of a wine stocked is priced separately. The winelist contains about 490 wines, and a full page is dedicated to wines by the glass. 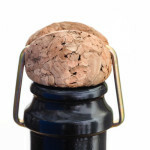 A good spectrum of local and imported brands, and prices, is included in the extensive winelist. We ordered the Catherine Marshall 2004 Shiraz at R 225. The champagnes include Pol Rogers (ranging in price from R580 – R2200), Le Mesnil (R790 and up), Billecart Salmon RosÃ© (R1300), Drappier (R375 – R500), Tribault RosÃ©(R696), Laurent Perrier (R1000 – R1450) and Duval Leroy (R795 – R 3300). Local brands of bubbly are Steenberg (R220 – R425), Teddy Hall R(385), Villiera (R220 – R300), Simonsig (R430), Krone Borealis (R270 – R3000), Silverthorn (R280) and Jaques BruÃ©re (R230). Shiraz choices start at R52/R215 for Migliarino, with 27 brands offered, Signal Hill and Eben Sadie ranging in price between R1000 – R1200, depending on the vintage. White wines by the glass cost between R35 and R50 a glass, and red wines R45 – R65 per glass. Bresselschmidt told us that he is a Riesling fan, and calls himself the ‘Riesling ambassador in South Africa’. He is importing 500 bottles from Germany. His cellar at Auslese, the events venue he opened close by in the past year, holds 25 000 bottles in total. A number of bread options was offered, and the wholewheat bread I chose was crispy and crunchy, freshly baked. We tried to order a variety of dishes amongst the three of us, to be able to taste as widespread a range as possible. The amuse bouche was an unexciting kingklip terrine, topped with salmon caviar and vinaigrette, served with a mini cucumber salad. The triangular plate it was served on did not hold the knife, and it kept falling off, a frequent complaint one has of restaurant plates these days. The support staff, wearing burgundy shirts, did not match Jacqueline’s level in any way, even though the lady that served us had been at the restaurant for four years. I found her hard to understand, and she kept stretching in front of my cousin to pass on plates and cutlery to me, an absolute no-no for a top restaurant. We were surprised that more senior staff do not bring the food to the table and explain the dishes. The waitresses tried hard but lacked polish. I had the Delice of smoked salmon trout and caper butter, served with roccula dressing, and poached quail eggs in a potato nest (R85). No fish knife was served with this course. My cousin had the Carpaccio of cured beef, served with marinated Burrata mozzarella, and a tomato and herb salad (R89). She expressed surprise at how thick the beef slices were. Her husband had the fish soup (R65), and felt the fish taste too pronounced, not something he is used to in German restaurants, being prepared in the French style. The highlight of all the dishes was an ‘in-between’ dish, being steamed crayfish served with black noodles and a saffron sauce. Then came a sweet melon and mint sorbet palate cleanser, too sweet to our liking. Something odd happened with the serving of the “Cape Sea Harvest” main course (on the degustation menu), which my cousin and her husband had ordered, described as a duo of kingklip and kabeljou when the menu was explained and our order taken. When it was served, it only had one piece of fish. We were not told proactively that the kingklip had run out, and whilst Jacqueline expressed her sincerest regret about a communication error between herself and the kitchen, it seemed unacceptable that an order taken was served incorrectly and was only reacted to when questioned. I had a most unusual tender tongue dish, with very finely sliced marinated tongue, served with asparagus and a delicious vanilla and green tea veloutÃ© (R160). Other main courses are duck (R182), lamb (R178), beef sirloin (R175) and ostrich fillet and tartare (R174). For dessert my cousin had a very generous duo of Aubergine Créme Brûlée (R65). I chose a Beignet of Tomme Obiqua cheese from Tulbagh, served with Golden Delicious apple (which I could not taste), roccula and walnuts (R105). Other dessert options included a Charlotte of pear and ginger served with prickly pear sorbet (R75), assiette of chocolate (R84), Delice of lemon and strawberry meringue (R58), and a chef’s surprise (R94). I had ordered a cappuccino with the dessert, but it was only brought to the table after we had finished it, sweetened by a lovely plate of friandises served with the coffees. Bresselschmidt came to our table and was very generous with his time in answering all our questions. He opened Aubergine 15 years ago, and chose the name because of his respect for a vegetable that is flexible and offers versatility. He had come to South Africa in 1992 to work at Grande Roche, and thereafter at Rhebokskloof. He has lost track of how many times he has been on the Top 10 Eat Out list, and thinks it is six or seven times. He told us how hard it is to run a restaurant, when you have to double and triple check everything, something that can affect one’s creativity, he said. He called for a score from the Eat Out judges, so that restaurants making the Top 10 list can get feedback about their performance relative to their colleagues, and not just on a ranked basis. We discussed the variability in the Eat Out Top 10 list, and Bresselschmidt felt it may be the magazine’s way of keeping interest in the Awards. Rust en Vrede is his favourite restaurant, and Bresselschmidt plans to take his team there next month to allow them to experience the country’s top restaurant. He is also loyal to Bosman’s, celebrating his wedding anniversary there, having met his wife at the Grande Roche. Nobu is another favourite. I am yet to be convinced that Aubergine is the best restaurant that Cape Town has to offer. I did not experience it last night, mainly due to the inconsistency of the service and of the food served. Aubergine Restaurant, 39 Barnett Street, Gardens, Cape Town. Tel (021) 465-4909. www.aubergine.co.za Mondays – Saturday evenings, Wednesday – Friday lunches. Restaurant Review: French Toast Wine & Tapas Bar also serves …. French Toast! French Toast Wine & Tapas Bar opened about ten days ago, and is a homely cosy wine lounge that has been created in what was previously a warehouse in Bree Street. It is the type of place that one would pop in to for a drink before or after a function, and have a bite to eat. It has one of the largest collections of wines-by-the-glass in Cape Town, with over 108 choices of local and international wines. It is not cheap to eat and drink there, and portions are small, but it does offer a good selection of price options. French Toast has a heavyweight management. Owner John Harrison was a stockbroker on the Paris Bourse, and told me that the French bug bit him there, hence the French feel through the name and the café style music that is played. John was the CEO of the Table Mountain Aerial Cableway Company for many years, and built up its business and introduced the new cable cars during his management of the company. He was a client of my then-PR company many moons ago. He spoke passionately about his new project, and how they renovated the double story building in an unbelievable three months, being hands-on in the renovation. Raw brick walls give it a warm feeling, blackboards communicate the wine and food specials, and windows have been built to add light upstairs. There is a bar counter upstairs and downstairs, and the downstairs one will probably be the more popular one in winter, with its massive fireplace. The upstairs section is huge, with seating for at least 80-100 persons. A small boardroom downstairs can host meetings and functions of up to 10 persons, Shane told us. The decor is upmarket, but the food is not fine dining, with an emphasis on wines, explained Shane. The cutlery is shiny and new, the glassware is good, but only paper serviettes are supplied. Karen Visser is a partner in French Toast with John, was a bio-kineticist, and is a passionate golfer and winelover, studying at the Cape Wine Academy. She compiled the winelist in the main, and has no previous restaurant experience. GM of the new wine lounge is Gidi Caetano, who was the GM of Salt Restaurant at the Ambassador Hotel, and also oversaw the opening of Salt Deli and Salt Vodka Bar until recently. She also worked at The Showroom and was a hospitality trainer. The Manager Shane has an interesting undefinable accent, having grown up in Hawaii, and lived in the UK before moving to South Africa. He previously worked at the Protea Hotel Victoria Junction, the Devon Valley Hotel, and the 0932 Belgian restaurant in Green Point, which has since closed down. Chef Jannie Mellis owned East London’s best restaurant, he says, the Two Dogs Bistro, and was at Bushmanskloof Lodge prior to that. He said he came back to Cape Town “to get into the hub of food again”, a nice compliment for Cape Town. The staff are smartly dressed in black shirts and pants, a French Toast branded apron, and a turquoise tie. We found it terribly chilly upstairs, but Shane assured me that the airconditioning was not on. When we moved from table to table, to find the warmest spot, we discovered that a sliding door had been left wide open. When it had been closed, all was fine. The music was rather loud when we arrived, but seemed to have been turned down a little while we were there. 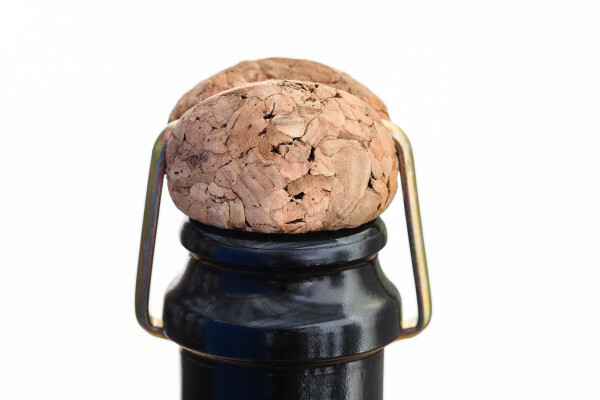 The wines are closed with a wine preservation system Le Verre du Vin, being special rubber wine and sparkling wine bottle stoppers, allowing opened wines to be kept for up to three months. I chose the same glass of wine I had a week ago, the Mullineux Shiraz 2008, at R83 for a 150ml glass. The wine has the characteristic of an old-fashioned smoky shiraz, my favourite, but the very chilled serving, at 13°C, was too cold to my liking. Four Cap Classiques are available, ranging from R44/R195 for Simonsig Kaapse Vonkel to R 81/R380 for Graham Beck Blanc de Blanc. Seven champagnes can be ordered, Le Mesnil Blanc de Blanc costing R135/R650, and the most pricey is Dom Perignon, sold by bottle only, at R3000. They also stock Veuve Cliquot, Billecart Salmon Rose and Guy Charbaut. Seven Sauvignon Blancs are stocked, that of La Motte costing R31/R130, and the Cape Point Vineyard Reserve is the most expensive, at R57/R260. Seven Shiraz/Syrah wines are served, starting with Rickety Bridge at R35/R165, and Haskell Vineyards is the most expensive at R111/R530. Imported wines from France, Italy and Germany are also available, and range from R33/R142 – R153/R740. The branded winelist provides information about the vintage and origin of each wine, but has no descriptions of the wines or the varieties. The menu, on a laminated sheet without any branding, is broken down into Snacks, Tapas, Charcuterie, Cheese Platters and Desserts, and has a Mediterranean feel to it. Snacks include olives, almonds, chillies (R30 each) and oysters (R10 each). The Tapas selection of 16 dishes range in price from R30 – R50, with empanadas, prawns, smoked salmon trout, caprese skewers and more. The charcuterie platter allows one to select three of a choice of imported meats, including chorizo, parma ham, salami and jamon serano, for R50. Similarly, one can choose three cheeses for R55, from a selection of six. Breads come from Jardine Bakery, a few meters away, and sometimes from Knead. Chef Jannie makes his own preserves and pasta. There is not much attention paid to the presentation of the dishes, I felt, being functionally presented on white plates. I had the calamari and lemon (R38), and asked Chef Jannie not to add the chilli. My (student) son had the delicious herb and pecorini croquettes (R35), as well as the parma ham and mozzarella aroncini fried stuffed rice balls (R45), but was still starving after the two tapas dishes, and therefore ordered patatas bravas with a homemade spicy tomato sauce (R45), which he proclaimed to be excellent. I had to have the French Toast, after which the restaurant is named, one of the three desserts on the menu (R40), two tiny baguette slices served with not-so-nice almond ice cream. The cappuccino (R16) made from Origin coffee was excellent. The specials board advertised white anchovies, Pisto bruschetta, and cheddar and rice balls. Chef Jannie said that from the feedback received to his dishes since opening, he will be amending his menu next week. In general the tapas portions are small, and therefore French Toast is not the place to have a meal, but rather a glass of wine with a tapas snack. We paid R385 for five tapas dishes and two glasses of red wine. POSTSCRIPT 15/1: I have returned to French Toast a few times since I wrote the review two months ago. Every time I have been warmly received by the management team. Today I returned for a late Saturday afternoon cappuccino, and was impressed with the new summer menu. My eye caught the asparagus tapas, at R35, crispy and crunchy, simply served with lemon, the best asparagus I have tasted. Then I saw a Seafood salad advertised on a Specials board, for R55, and had to have it, when the Manager Gidi explained that it contained steamed prawns and crayfish, with bisque aïoli, beautifully presented, which had been a criticism I had expressed previously. I felt that Chef Jannie has progressed by leaps and bounds, not only in terms of his menu selection, food preparation, but also in terms of the food presentation. On the wine side an innovate wine trio 50 ml flight is offered for Sauvignon Blanc (Delaire, Hillcrest and Reyneke Organic), at R40 for the three wines; the Sparkling wine flight is Steenberg 1682, Teddy Hall, and Sterhuis, at R65, or R100 if served with a trio of oysters; and the Shiraz flight is from Eagle’s Nest, Haskell Aeon, and La Motte Shiraz Viognier, costing R80. French Toast Wine & Tapas Bar, 199 Bree Street, Cape Town. Tel (021) 422-3839. www.frenchtoastwine.com (website still under construction). Twitter @FrenchToastWine. Monday – Saturday 12h00 – 23h00. No BYO allowed, the winelist says.